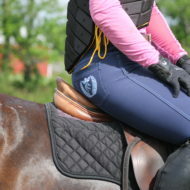 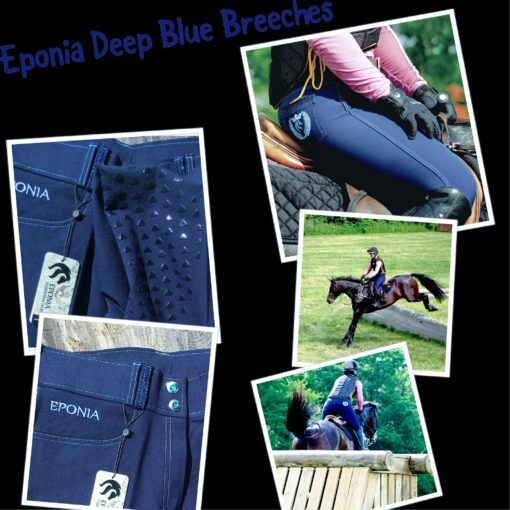 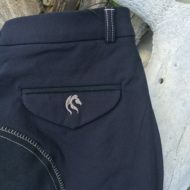 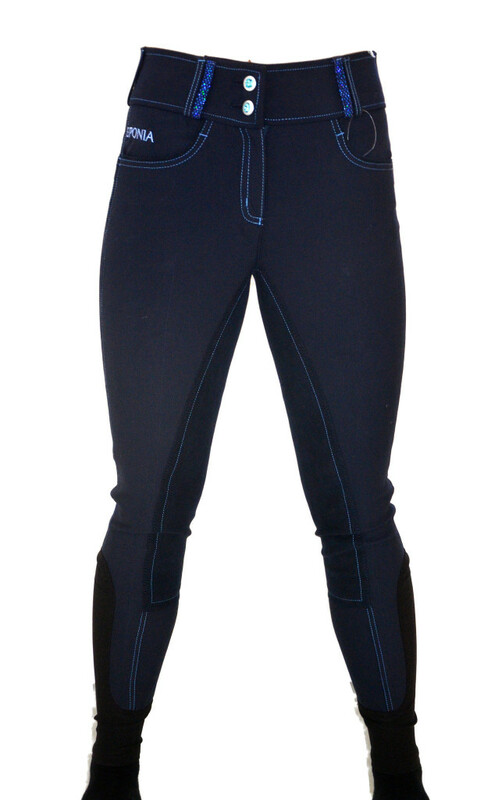 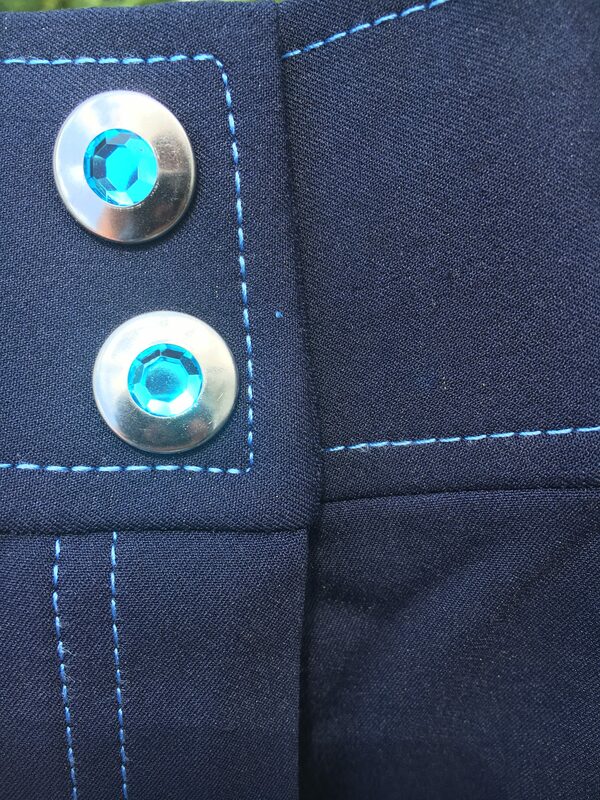 Theses Deep blue Fullseat breeches in Eco bamboo fiber reminds us of the deep blue of the sea. 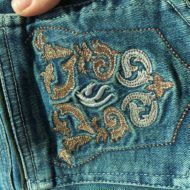 These have just enough attractive sparkle details for that WOW effect! 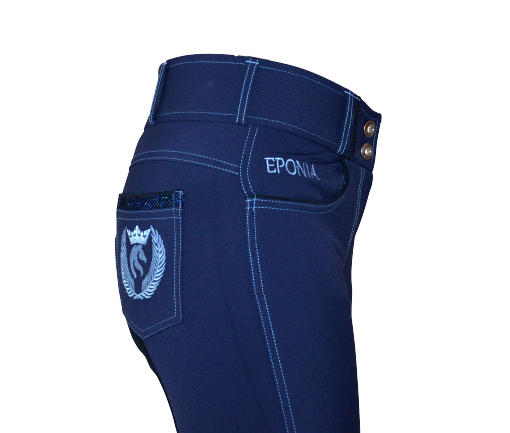 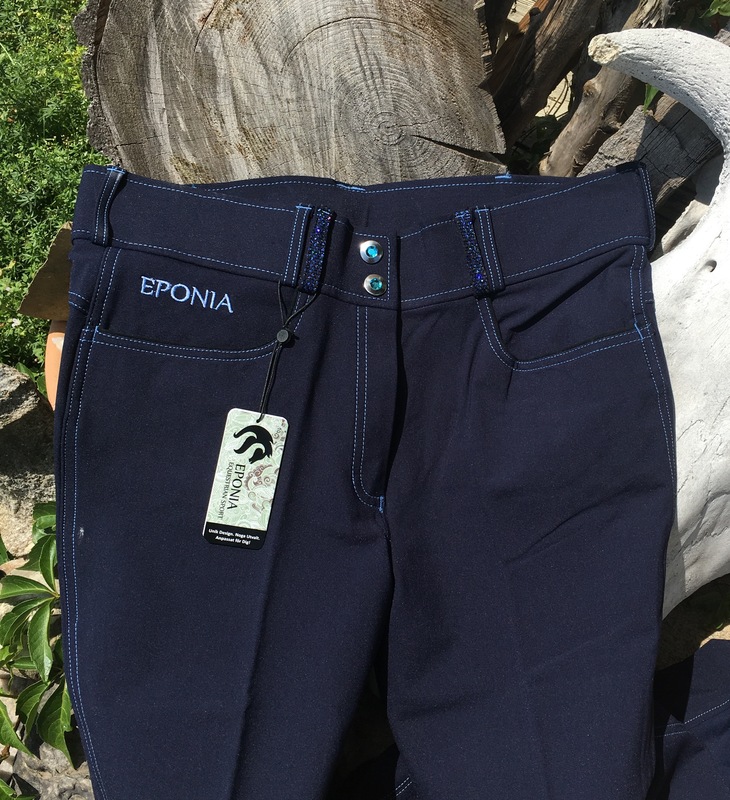 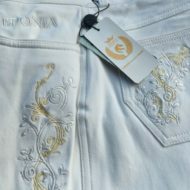 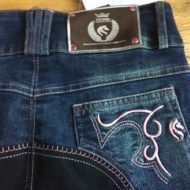 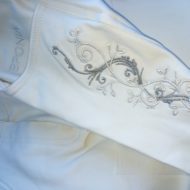 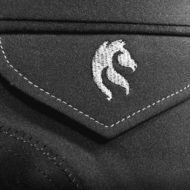 Pockets in front and back- with Swedish Horse Crown and Wings Eponia logo embroidered on full pockets ( not half pockets ) on back. 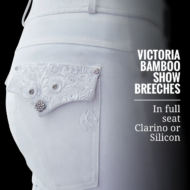 Fullseat flexible soft clarino. 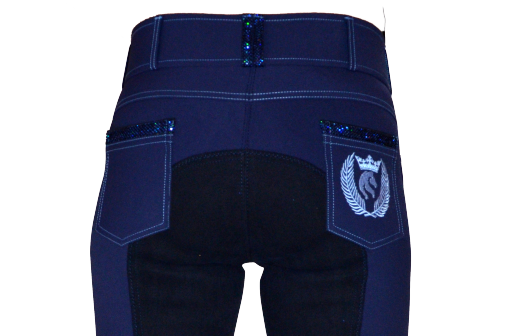 Wide waistband and 2 crystal button hook closures. 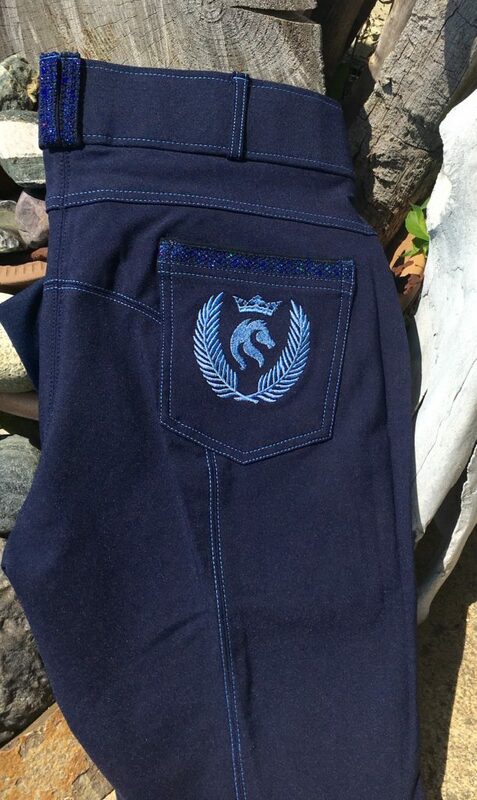 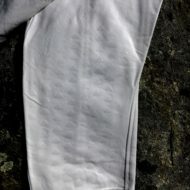 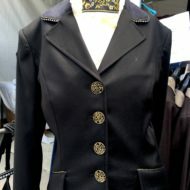 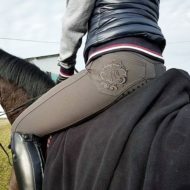 This very high quality breech WILL be your new favorite!